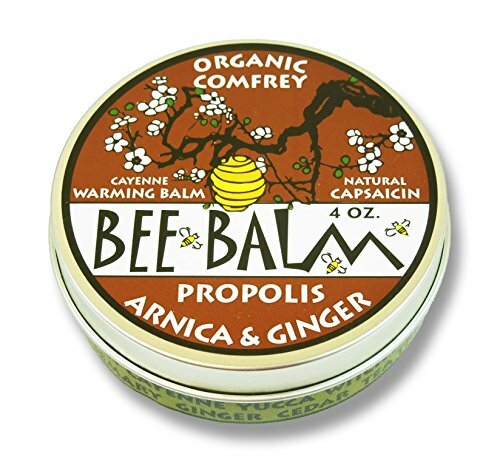 "Arthritis Rub" is a natural bee balm of arnica and ginger. When used externally, arnica helps relieve aches and pains associated with inflammation. Emu oil reduces swelling, pain, and stiffness, while ginger stimulates blood circulation. Peppers contain a strong analgesic and anti-inflammatory known as capsaicin, which blocks a chemical in the body that acts as a pain signal. Rosemary relieves tired muscles and joints and provides warm, soothing relief. To use, apply topically to muscles and joints for herbal warmth. 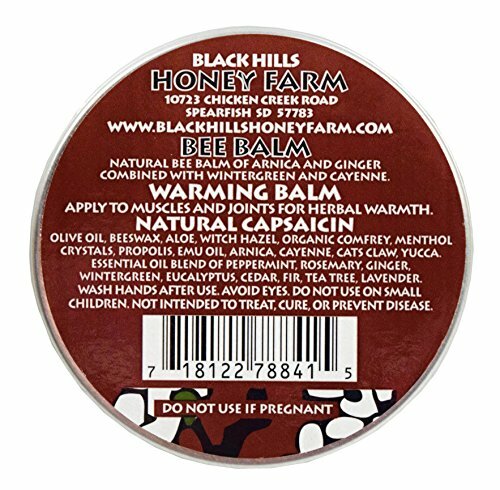 Located in Spearfish, South Dakota, Black Hills Honey Farm has been beekeeping and manufacturing natural products "From The Hive" since 2001. Black Hills Honey Farm's apiculture standards are developed with the primary focus on the health of honey bees and the sustainability of beekeeping. They seek to define the best practices for natural beekeeping with these priorities as guides, with the secondary focus on the agricultural products of apiculture (honey, pollen, and propolis). All products are 100% Natural, and NEVER contain synthetic fragrances, isopropyl alcohol, benzene, mineral oil, sodium lareth sulfate, propylene glycol, or aluminum. Why We Love This Gift: We love all-natural gifts that relieve pain. What's not to love? What To Express in Your Card: I heard this stuff is terrific. I hope that it helps you feel better. I am thinking so much about you.